So I have a confession…I thought Vineyard Vines sold just t-shirts and polos and nothing else. Ahoy I meant boy was I wrong. Last night I attended a Girls’ Night at Vineyard Vines at the Summit with my fellow Birmingham Bloggers. And I was impressed with what I saw. 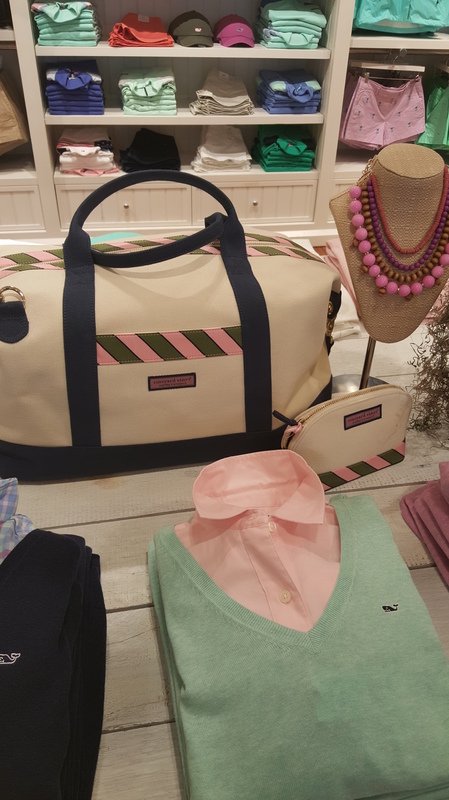 Vineyard Vines started with ties but today they offer so much more. 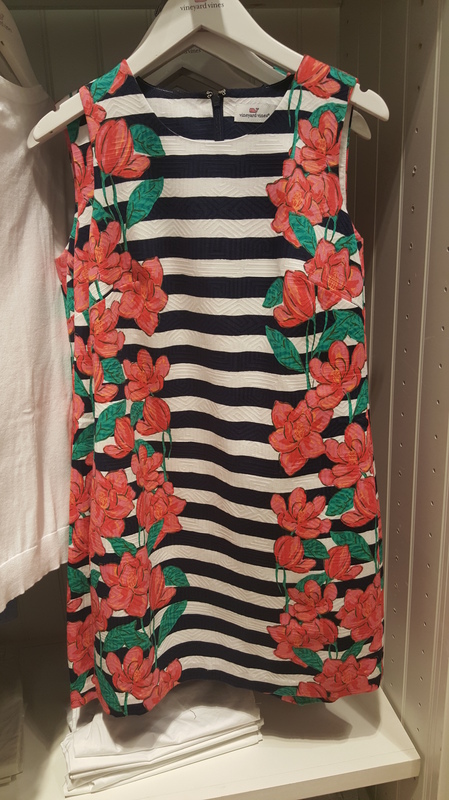 Take a look at some of the great clothes they have to offer. I am loving all of these looks. 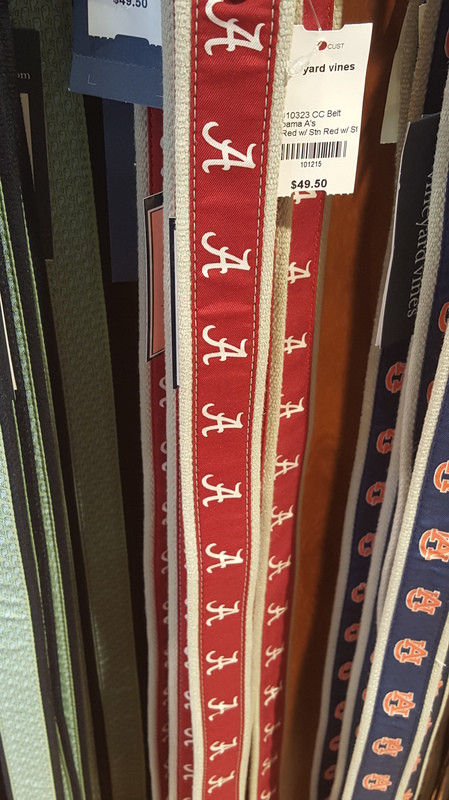 Of course I love the Alabama belt. With football around the corner, this may be making an appearance in my annual tailgate post. Check out last year’s post here. And you all know my love of all things striped! The knit dress looks so comfy and easy. Anytime I can wear navy and stripes is a good day. Check out some of favorite posts on my love for navy and stripes in Earning My Stripes! and In The Navy. 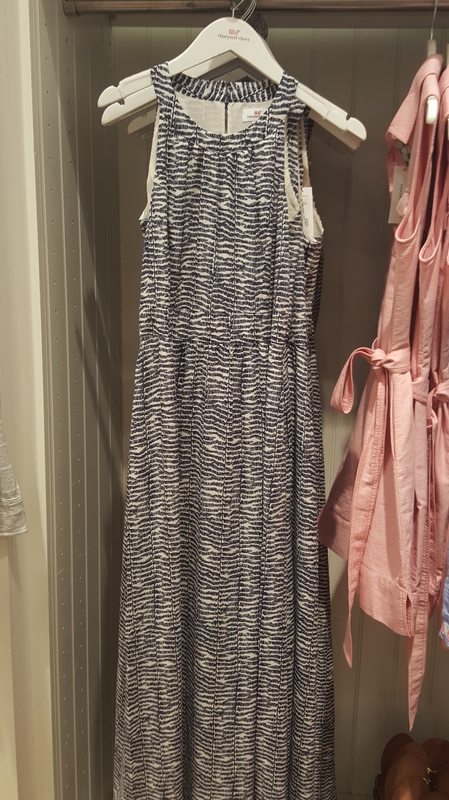 Finally this maxi dress is just gorg! I need this in my life! And I would carry it all in this great weekender and represent my sorority! How I love my pink and green! 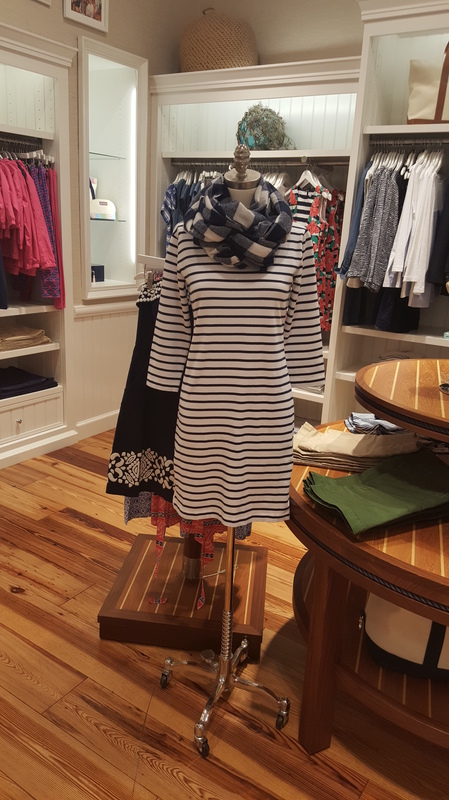 So head on out to the Summit and visit Vineyard Vines for some chic fall looks. And if you aren’t a local, head on over to www.vineyardvines.com.